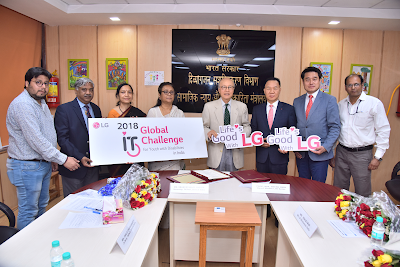 The three day event of the “Global IT Challenge for Youth with Disabilities, 2018” concluded in the presence of Shri Thaawarchand Gehlot, Union Minister for Social Justice and Empowerment here today. It was organised by the Department of Empowerment of Persons with Disabilities (DEPwD), Ministry of Social Justice and Empowerment in association with Rehabilitation International Korea and their associated partner LG Electronics from 9th to 11th November, 2018. Shri Thaawarchand Gehlot, and other dignitaries from Korea, India and ESCAP presented the awards. 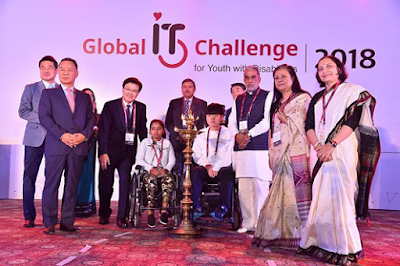 While concluding the ceremony, Shri Thaawarchand Gehlot expressed his deep satisfaction over the successful completion of the event and called upon the participating nations to take all steps for enhancing IT skill of youth with disabilities so that they live an independent life with dignity equally with others. President, RI, Korea thanked the Government of India for hosting the event successfully. This year 96 youth with disabilities (visual disability, hearing disability, loco motor disability and intellectual disability/developmental disorder) from 18 countries namely, India, Indonesia, China, Vietnam, Malaysia, Thailand, Sri Lanka, Bangladesh, Nepal, Mongolia, Cambodia, Laos, Philippines, Korea, Kazakhstan, Kyrgyzstan, UK and UAE participated in the “Global IT Challenge for Youth with Disabilities, 2018”. The individual competition on e-tool and e-life mapping was held on 9th November, 2018 and the group competition event was completed on 10th November, 2018. Alongside the IT challenge competitions another parallel programme namely IT Forum was also organised to showcase the best practices followed by various participating countries regarding use of ICT for enhancing empowerment of persons with disabilities. The event comprised of 55 awards in various categories including awards for best volunteer. Three awards namely, “Best, Excellent and Good” in individual and group events in each category i.e. visual, hearing, physical and developmental/intellectual disability. Thailand won maximum i.e. six awards followed by Philippines with five awards. India bagged three awards including Super Challenger awards. Shri Manjot Singh from India won two awards in e-tool challenge and e-life map challenge under visual disability category where as shri Saurav Kumar Sinha from India won the Super Challenger award. Ms. Fayza Putri, Adila from Indonesia won the ‘Global IT Leader Award’. The objective of the Global ICT Challenge for Youth with Disabilities is to leverage IT skills among youth with disabilities and also to spread awareness about the application of Information and Computer Technology (ICT) in enhancing the quality of life of persons with disabilities especially in Asia-Pacific region. It is a capacity building project that helps youth with disabilities to overcome their limitations and challenge themselves for a better future by providing them with access to ICT and related experiences, improving their ability to leverage information and social participation while setting ICT agendas for participant countries related to disabilities and boosting international cooperation and exchange. It is being held with a total of four events including e-Tool Challenge to evaluate the skills of using the MS Office programme and e-Life Map Challenge to evaluate the online information search ability in specific situations. 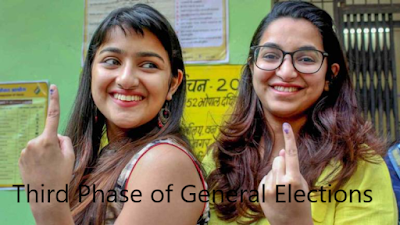 India had nominated twelve youth with disabilities to participate in the event. These youth with disabilities had been selected on the basis of the National IT Challenge conducted by the Ministry through NIT, Kurukshetra in June, 2018. India has been participating in the event since 2013 and has been winning awards ever since. Last year the event was held in Vietnam.